Claire Foy is the next actress to take up the role of Lisbeth Salander, the woman who arrived first in The Girl with the Dragon Tattoo. This is the next film featuring the character. Unfortunately, there seemed to be a lack of what made Lisbeth such an original character in her past offerings. 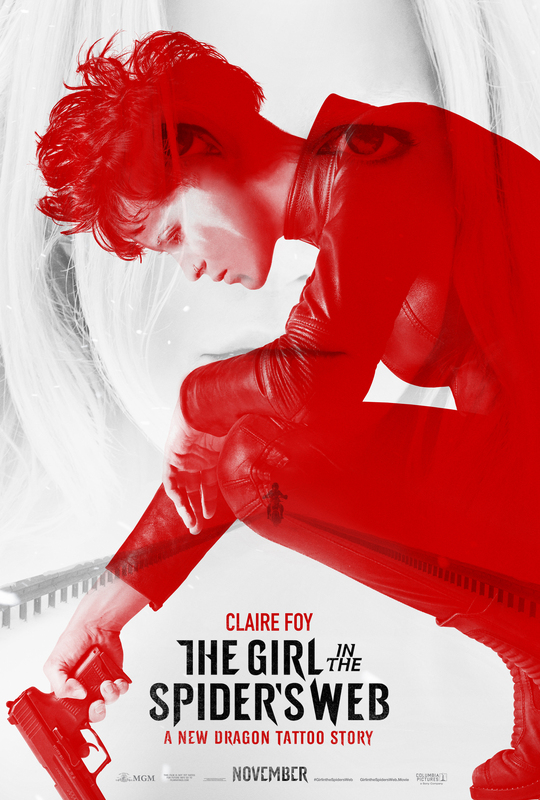 Here, in The Girl in the Spider’s Web, she is basically just another action hero. We join Lisbeth as she is in pursuit of a MacGuffin that gives the possessor the ability to control the nuclear weapons of the world. The man who invented the technology (Stephen Merchant) is being chased, and his son August (Christopher Convery) knows how to access the info as well. Lisbeth is in a race against her sister (Sylvia Hoeks) in a twist that is revealed in the trailers, but should have been held back. There are a ton of action beats here, some decent, but others just silly. The film is really more of a Mission Impossible or a James Bond type of flick. There is less darkness in the movie and Lisbeth is no where near as harsh as she was in the previous movie. Where as the other movie showed Lisbeth taking to a serious extreme and being more psychological, this was more action/adventure. I think this did not work as well for Lisbeth than the previous way. Claire Foy continues her strong work this year. I liked her as Lisbeth, or at least, what they let her do as Lisbeth. I think she would have been a great actress to take this character to another level, but the film does not want to let her do it. There were many scenes where I was bored during the movie. It did not grip me the way I had hoped it would. There were too many scenes where I was rolling my eyes wondering how that was even possible. The Girl in the Spider’s Web was too predictable and too poorly executed and took a character that could be an original female protagonist and made her into just another action hero.